The Garden Villas is a quaint 50 unit extended stay hotel that is equipped with most amenities for your extended stay needs. From our spacious floor plans to our helpful and friendly staff, we hope to have you stay with us! Nestled in-town and surrounded by most major landmarks including the South Georgia Medical Center and Valdosta State University’s North campus, getting to your destination in Valdosta would be convenient. Additionally, with our extended stay weekly and monthly rates offered, you can count on getting the best value in town. Here in town for business? Unwind from the day in our spacious rooms, be productive with our large, well lit desks, complimentary high speed internet and WI-FI, and take advantage of our office to take care of your printing, faxing and copying needs. Prepare your meals with the convenience of having your own kitchen in your room. Each of our kitchens are equipped with a full refrigerator, stove, microwave, plenty of counter top space, cabinetry, silverware, plateware, glassware, pots and pans and cooking utensils. Stay close to home by taking care of your laundry with our on-site guest laundry facility. With these many amenities offered, you may want to stay longer than you planned. 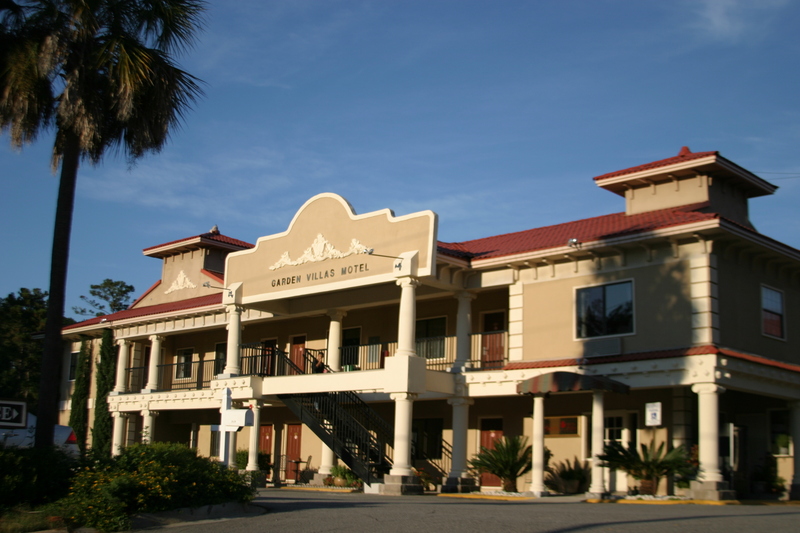 Come visit our Garden Villas Extended Stay Suites & Hotel and we hope make your home away from home in Valdosta, GA!